...Enjoying Life...: STAMPtember 2014 Blog Hop! 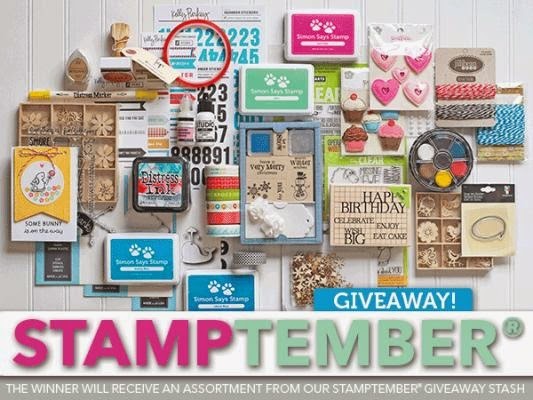 Welcome to another stop on the Simon Says Stamp, STAMPtember 2014 blog hop! If you've been following along, you should have just come from the sweet and talented, Laurie Willison's blog, Soapbox Creations. If you'd like to start at the beginning of the hop, head on over to the Simon Says Stamp blog where it all begins. Before I share my cards, you should know that Simon Says Stamp is giving away a prize pack of a selection of items from our STAMPtemberÂ® giveaway stash at each stop on the hop! That's 19 chances to win!! So make sure you leave a comment at each stop to better your chances of winning. The giveaways for the prize packs will close at 6:00pm EST on Thursday September 11, 2014 and the complete winners list will be posted on the Simon Says Stamp blog on Friday September 12, 2014. Okay, let's get started! I was sent some wonderful products to play with and boy, oh, boy did I ever have fun! I've created eight cards - I just did not want to stop playing. The first few cards showcase the fun, Deco Tree Die set. It has such a brilliant design. It's a really simple card, using the negative portion of the die-cut. This card could be easily mass produced for your Holiday card making. The Merry Christmas die comes in the set too. Here's a close-up so you can see just how cool it is. I gently pulled up the swirls for a fun effect - isn't that neat?! This next card uses the same tree die but with the positive die-cut. I also added a bit of dimension in the background using the Zig Zag Dots Stencil and some Texture Paste from Ranger. The Sentiment is from the new, Ornaments set. One more creation using this die. It's a gift tag. I wanted to try the inlaid die-cutting technique with the tree and to make it stand out more, I added the white outline with a Signo Gel Pen. So, both the positive and negative die-cuts were used on the tag - so fun! I have an elegant card to share next. This is such a beautiful stamp set. It's called Ornaments and it comes with five different ornaments and some wonderful sentiments too. I embossed everything on this card in Ranger's Princess Gold Embossing Powder. See that swirly wire? That's one of the stamps included in this set. Here's another fun card using the same set. I used the smallest ornament and stamped it with various pigment inks, then added Glossy Accents to each one for some shine. 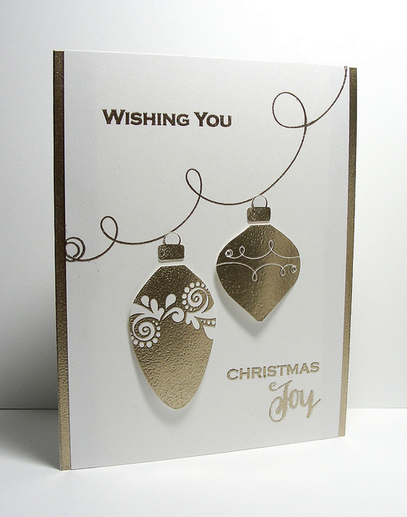 The wires were stamped with Staz-On Silver Metallic Ink and the sentiment is from the Deco Tree Die set, this time cut from black cardstock. There is another new stamp set called, Presents and Ornaments. I wanted to use a different image from the set, other than the presents, to show you how it can be used for other occasions besides Christmas and/or birthdays. There's an open circle image and I thought it would be fun to white emboss it several times and do some water coloring. Isn't that fun? The large, Thank You sentiment is from the Many Thanks set. There are so many sentiments in this set - all with different fonts. It's difficult to see in the photo but inside some of the circles there's a teeny, tiny "Thanks" with a heart, which is also included in the set. Are ya still here with me? Sorry it's getting long but just a few more. 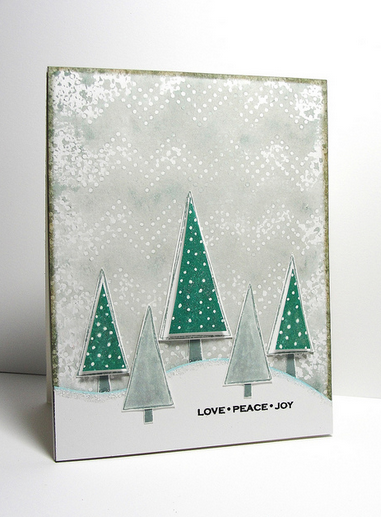 This next card was created with the new, Sketched Trees stamp set, along with the matching, Trees and Trunks die set. After cutting out the trees, I decided I wanted the inner portion of them smaller, so I just used a scissors to make the adjustment. The background was created using that awesome, Zig Zag Dots Stencil again, along with Iced Spruce Distress Ink and water. I love how it turned out! The small, Love, Peace, Joy sentiment is from the Ornaments set. Okay, two more. It's time for something other than Christmas. Are ya ready for some fruit? Isn't that pear image adorable? It comes in a set called, You're So Sweet and I love it! I stamped the image with Archival Black Ink then did a bit of water coloring. I added some splatters and the Thank You sentiment and it was done - so easy! There is a cherry image in the same set that I love even more than the pear. Take a look. 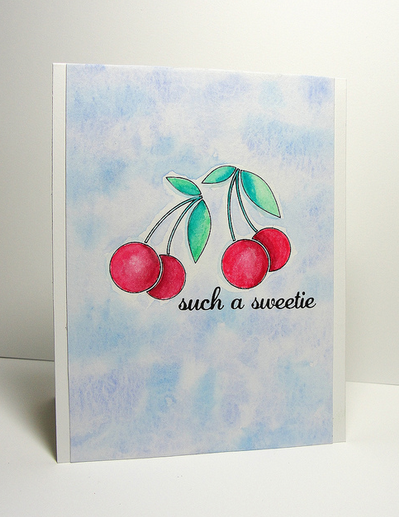 I did some more water coloring for this one - on the cherries and the background. And don't ya just love that sentiment? This set comes with many more images of fruit and four more sentiments. Okay, that's it. (I'm sure you're all saying, "Finally!") Sorry my post was so long but I wanted you to get a good idea of how fun these new products are to play with. And there are sooo many more in this release. You can check them all out, together on one page, here. 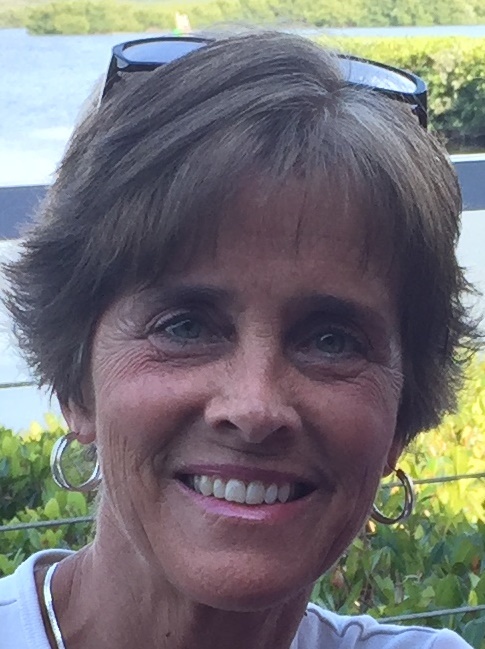 Your next stop on the hop is Suzanne Dahlberg's blog, Freshly Noted. She creates such beautiful cards, I know you'll love what she has to share. There's lots more fun coming our way this month, so be sure to check in often at the Simon Says Stamp blog! wow all of these are outstanding.. makes me want to start making my Christmas cards.. thanks for the inspiration.. The Sketched Trees card is so lovely ! Wow wowww. You outdid yourself. These new products are sure so fun, and have so many possibilities. I can see so many different things in my head using these dies and stamps. Thank you for the inspiration, lady. Yowza! You were busy! With all those new fun supplies, I would be happy and busy, too! You did an amazing job! You shared so many wonderful cards! Thank you for the inspiration. wow!! that's a lot of inspiration !! fantastic thank you! fab release and giveaway!! So many gorgeous cards! Thank you so much for the chance to win! Don't apologize for making so many gorgeous cards! Each one is amazing! What beautiful cards! 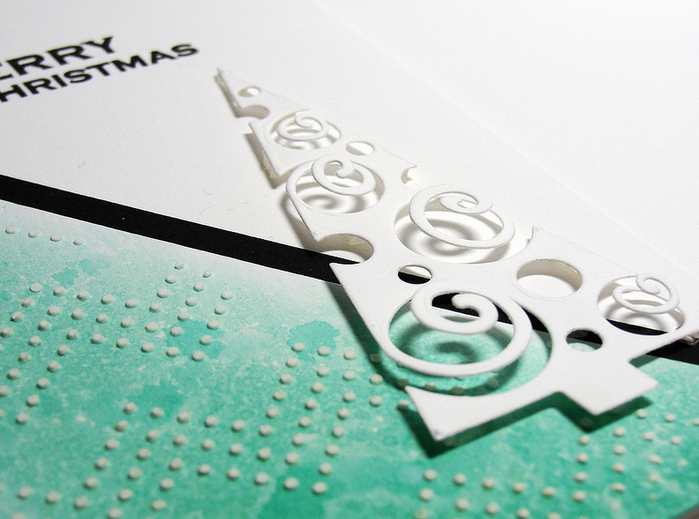 I especially like the use of the stencil and the deco tree die. You've been busy and I love them all. Way to rock the new goodies Barb! WOW! Awesome eye candy here Barb. Great job! Love the curly cut out tree card the best. Really fun. O wow Barb, you made so many beautiful cards. My favorite is the one with all the colored lights. I just love cards with some bright colors. Wow!You went crazy creative with your wonderful cards and tag! Love them. Fab cards Barb, I've fallen in love with your gold ornaments card, that swirly twine stamp.......! Love your cards Barb, that christmas tree die look awesome! I like the Merry Christmas Small ornament card! They remind me of the old Christmas lights! Your cards are absolutely amazing! Wow! You really went to town with all the new products. Love the inspiration! You have been busy!! Love all your fabulous cards! 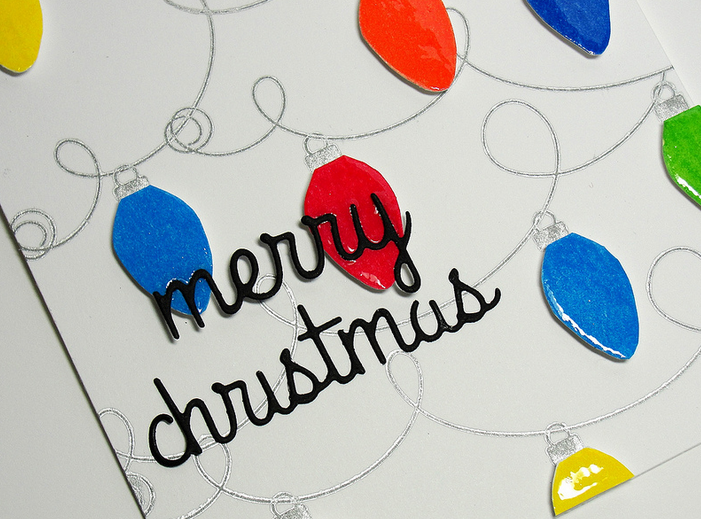 I love all of your modern Christmas card ideas!! These are very cute cards! So many great ideas, wow, I am speechless. I especially love the negative tree, and that you used the ornaments as light bulbs for a non-Christmas card. What cute cards! They look like you had tons of fun making them. Wow! So many great cards! 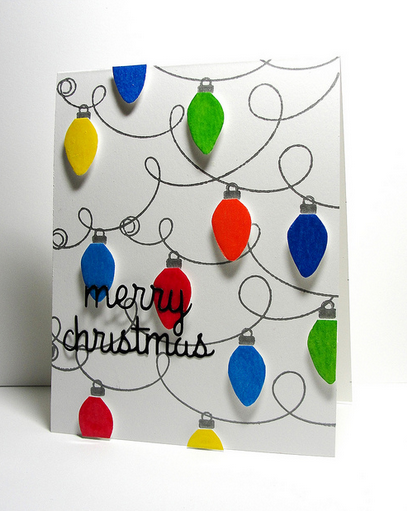 I love the myriad looks you get from the Deco tree die! OMGosh you did have fun! These are lovely! I'm loving this release! My favorite is the one with the golden ornaments. It looks so elegant. Wow! Thanks for all the ideas with the new collection. Love all the new stamps! Amazing post Barb! Love all of the different creations you have shown us today! You've really gone to town with this release - so many stunning projects. Thank you for sharing. Love all these cards and such a variety. Those are all super cute! Love the swirl tree! What a great, fun and fresh way to use the new products. Thank you for sharing! I love that die cut tree. I Like the negative as well as the positive. It is so cool! You certainly have been busy. I love your cards and thanks for all the inspiration. I love the u ique ways you utilized the various parts of the die cuts. My favorite card is definitely the last card with the trees. But I really like the swirly tree die. These cards are so cute. This whole release looks like a lot of fun to play with. Great cards. Love the fruits. Thank you so much for sharing. Love these sleek, modern cards! All of the cards are beautiful. I especially love the texture paste on the zigzag stencil. 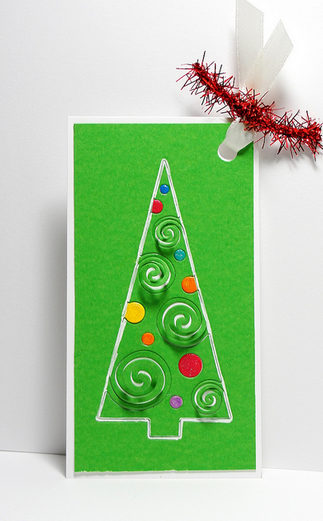 And pulling up the spirals on the tree in the first card! So many beautiful cards. Think I like the elegant gold one and the string of lights the best though. Can't wait to get started making these. Wow, you were busy! Love all of the inspiration. Thanks! Why would you say, sorry for this post being so long, when it is filled with so many fantastic cards for us to see?! Outstanding job on all. Wow! Amazing cards Barb. The elegant die-cut tree is so pretty. The Christmas light card is my favorite. So colorful! Oh my word.... Love all of your cards and you out did yourself with all of your beautiful cards. So many beautiful cards! You were busy! All the cards are so pretty! Thanks for sharing! wow you've been busy! 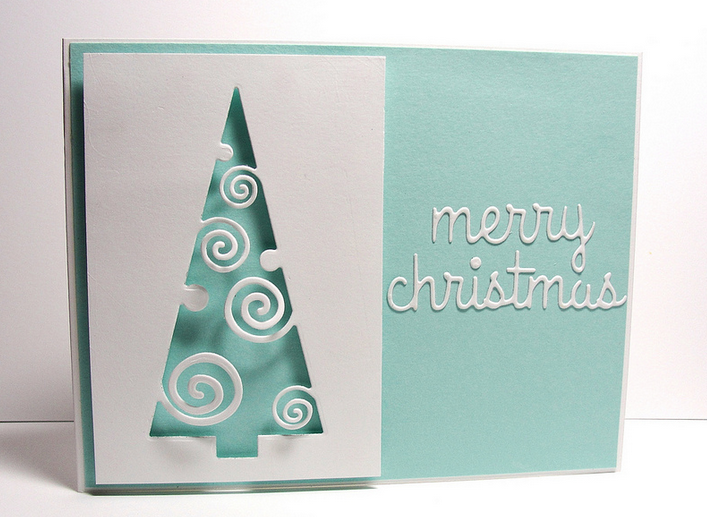 love each and every card you made, I am really loving the aqua and white for Christmas! Great cards, thank you for the ideas! Wow Barb, you showcased these products so creatively, each card is simply fabulous!!! Your cards are awesome, Barb! I can tell you had fun playing with these new products and that you put a lot of thought into your designs. Great work!! Thank you for sharing your talent with us. No need to apologize for the long post, Barb! You have created eight really AMAZING cards! I can't even choose a favorite, because they are all so beautiful! This was an awesome showcase of the new stamps and dies! Thanks so much for sharing your creations with us! Great cards! Each and every one of them was just fantastic! Thanks for the inspiration! The stringed lights are my favorite! The colors on the white background is beautiful! Love those trees on the first cards. Wow you have been busy! love your ideas! Thanks for sharing them! Lovely cards. I especially like the swirl tree die. I can't even pick which one I like the most!!! But I love how you showed so many different styles with the tree die!!! I loved the card with the negative part of the die cut. Not sure I would have thought to use it that way. All your cards are wonderful. Now I want these dies and stamps! Wow! All beautiful cards!! The Deco Tree die is super! Wow! That's a lot of cards! I can't decide which is my favorite! They all have something special. Thank you for sharing these with us! Great cards, I especially like the Christmas lights! So cute! WOW, you've been busy. What a bunch of great cards. You really outdid yourself. First I said "I want the Deco Tree Set" then "I want the Ornaments" and I went on and one. I really like your first card for Christmas mass-producing. Simple, elegant and beautiful. Thanks for sharing. WOW - your really went to town with these great new stamps - the christmas tree ones with the various ways you used the die are fantastic!!! How lovely--your sense of layout is unique. Thanks for your nice work! Fabulous projects. Love the card with all the circles. I love these cards ! All your cards are amazing, impossible to pick a favorite. Thanks for the chance to win. I really like how you used the open circled stamp and the you are so sweet stamp set.. So many cards! I love the pears and the cherries! And the trees on the snow bank! All of your cards are fantastic. Awesome cards!! love the Ornament cards..
Wow. So many cute and pretty cards. Thanks for all the great ideas. Fun and modern, love them. I love the festive colors! A great way to brighten up the day! The pear card is my fav! Gorgeous work!! what a wonderful set of cards, barb!! Wow, you've been busy. Nice cards. The pear card is my fave! Love the colors! So many great cards, you have been busy :-D.
Amazing colors! Just right to brighten up the day! So simple, yet so elegant! I love the cards and how wonderful they look! What a wonderful array of cards Barb! Looks like you had a lot of fun playing with the new release! So many great cards! I really like how you used the zig zag dots stencil. AMAZING CARD! sorry for the cap! but is soooooo amazing! Sooo many wonderful project...and a very generous giveaway!! TFS! I can tell you're definitely smitten with these lovely new Simon Says Stamp products (I am too!) - gorgeous set of cards! Lovely cards. All of them. You can never have too many ideas! You sure have been busy!! 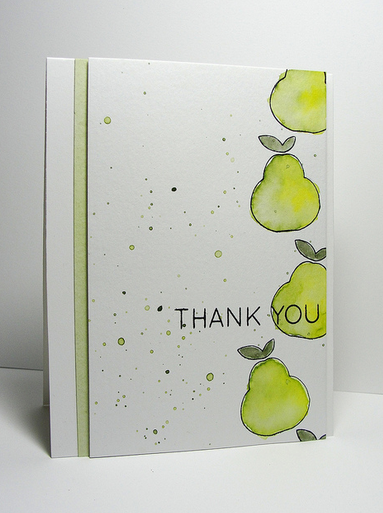 Clever ways to use that tree die... love the soft colors.. but you made that pear really speak to me! Looks like another addition to my shopping list! Fab selection of cards! Love that funky Christmas tree! Wooohooo, so many cards and new ideas! They're lovely, can't pic up any fav! Awesome cards, Barb!! I love the Christmas lights card, it's so festive and fun! Wow.... you were busy/inspired! Beautiful projects with lovely color and detail! Beautiful cards, Barb; I especially love the first one with the Deco Tree! You are such an enabler. Your awesome creations make me want to purchase everything! Stencils are one of my favorite tools and I love your use of it. Thank you for sharing your creativity! So many beautiful projects!! You are awesome to showcase so many of the new products for us! I can see that I'm going to absolutely need that zigzag dot stencil. Wow thanks for all the great options you provided, both Christmas and thank you cards. 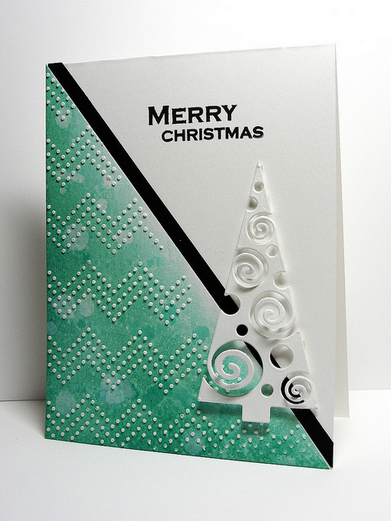 I like the simple but cute cherry card and the teal Christmas card stands out for me too. Your cards are all interestingly unique - I love your use of the positive and negative. You outdid yourself! So many beautiful cards. I love the ornaments and lights! Wow, so many great cards! And they are all so unique, especially the variety of uses for the Christmas tree die. All the cards are wonderfully inspiring. Love the use of the Chevron embossing folder. Sure gives an illusion of snow falling. Great cards!! All are beautiful!! All of these cards are stunning! Love all of your creations! I especially love the way you used the texture paste on the second card, so pretty! Love the tree die...great use of die parts...so very cool....colorful ornaments and light bulbs....Great job!! I loved the colorful bulbs one, the glossy accents really make them look like light bulbs. What great cards. So fun and cheerful. Thanks for sharing your talents with us. Beautiful---ALL of them! 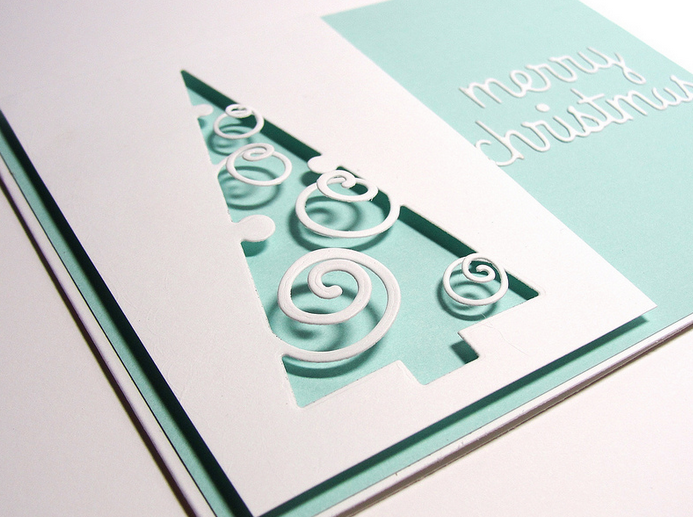 Great design, beautiful color choices and love the use of the negative from a die cut. I'm inspired. Thanks for sharing. So fun and elegant! Perfect for different occasions! So many great cards. Love the tree die! One card is prettier than the next! Love the idea of using both the die cut and the negative to create 2 different cards. Wow what great cards! Especially love the tree die. Love using the negative of the tree die. Simple but elegant card. WOW!! All spectacular cards!! Thanks so much for showing us just how creative you can get with the new release!! Barb, thank you for demonstrating the new products. Love your pears, this stamp set goes on to my wishlist! Wow--you have been busy creating! Love the different ways you used the deco tree die. Wow, Barb, you outdid yourself!!! Such great examples. Thanks for the inspiration. Absolutely beautiful cards. Looks like you had fun creating them! Wow, you had so much to share with us today, thank you so much. The simple pear card was my absolute favorite. Thanks for the chance to win. Love the tree die! All of your cards are beautiful. Thanks for all of the inspiration from the new release. These are beautiful -- thanks for sharing! Oh my gosh! So many cards! Wow, lots of inspiration here! Huge thanks! Super cute projects - love the tree die. I love the clean lines of your cards! They are beautiful! Love your cards!!!! I would love the chance to try out some of Simon says products!!!! Great idea to make use of the positive and negative of the tree. Super cards. WOW Barb,all of your projects are awesome! You have been one busy bee! Great job on showcasing this new awesome release!! So fabulous! I love love all the cards! Beautiful cards...love the zig zag background. Love the spiral tree cards one using negative and the other the positive image, brilliant! Love the inlaid technique too and that zig zag stencil I gotta have. wow all the new dies are awesome. Love your cards. Wow, Barb - you sure were creative with all your cards. I must admit a special love for the Deco Tree with its swirly bits. Oh my way beautiful cards. I just love all of them. The first one is so nice anc clean looking. Love the tree die. I just love the dot stencil which you used the embossing paste. Have this on my wish list and I was waiting to see what it would look like. I knew someone would be using it. Love the look. I really like the whole gold card. The ornament look so nice this way. The glossy accents on the bulb card just make these beautiful colored bulbs stand out so nicely. Thank you for sharing all you're wonderful ideas. Very nice cards. I must say this is my favorite stop on the hop so far! I love each of your cards!! the cards are all so fun. Love the negative cut of the christmas tree with the spirals pulled up. that one caught my eye but everything is wonderful. Wow! Beautiful work. Thanks for all your inspiration. What beautiful cards, so elegant. Thanks for the chance to win! Love, love, love your cards!! !